In 2015, the Oregon Legislature enacted a new staffing law.  The updated Oregon Nurse Staffing Law ensures staffing committees have the final say in hospital’s staffing plans, increases investigations and audits by the state and enhances transparency. It also establishes reasonable limits on mandatory overtime and creates a mediation process for committees to resolve impasses, among other important changes. Go to the source! Oregon’s Administrative Rules, or laws, are available to read online. Division 510 talks about patient care and nursing services in hospitals – essentially, the Oregon Nurse Staffing Law. Division 501 talks about hospital monitoring, surveys, investigations, discipline, and civil penalties. Oregon Nurses Association’s Nurse Staffing page. The page includes a webinar describing the law, links to national nurse organizations staffing standards, and additional resources for staffing committees. Oregon Nurse Staffing Collaborative. Formed in 2007, the Collaborative provides a safe table where nurses share best practices, evaluate staffing challenges and opportunities, and strategize on methods to strengthen the partnership among nurses, patients, families, and other relevant health care team members. The group has developed educational materials, webinars, conferences, and consultation for acute care hospitals’ staffing committees. Check out the many resources available including sample staffing charters, policies and plans. Talk to your unit’s staffing committee representative or nurse manager. Learn more about how your organization’s staffing committee is working to provide patients with quality care. Find out more about how you can get involved!